Jeff is a Senior Associate at Luxury Residential Group and has more than nine years of residential sales and leasing experience. Jeff has completed over $150,000,000 in sales and over $2,000,000 in rental transactions. During his career, Jeff has developed a strong reputation in the downtown Boston market, with a particular emphasis on luxury sales and rentals. Jeff prides himself on his hard-work, determination, and his ongoing pursuit to exceed his clients’ expectations throughout the entire process. Aside from his innate ability to understand his clients’ needs and provide the highest level of client relations, Jeff believes the greatest value he can offer his clients is his local market intelligence. He is focused on and remaining current on market trends and opportunities in order to better serve his clients. Jeff is determined to make the transaction for his clients as pleasurable and beneficial as possible by providing them with the attention and experience they deserve. 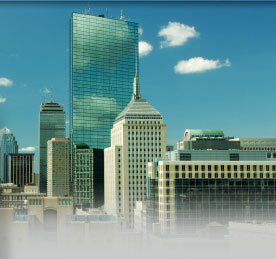 Jeff has worked with and for local real estate investment and development companies in the Boston area. Jeff is also responsible for all the marketing at Luxury Residential Group.